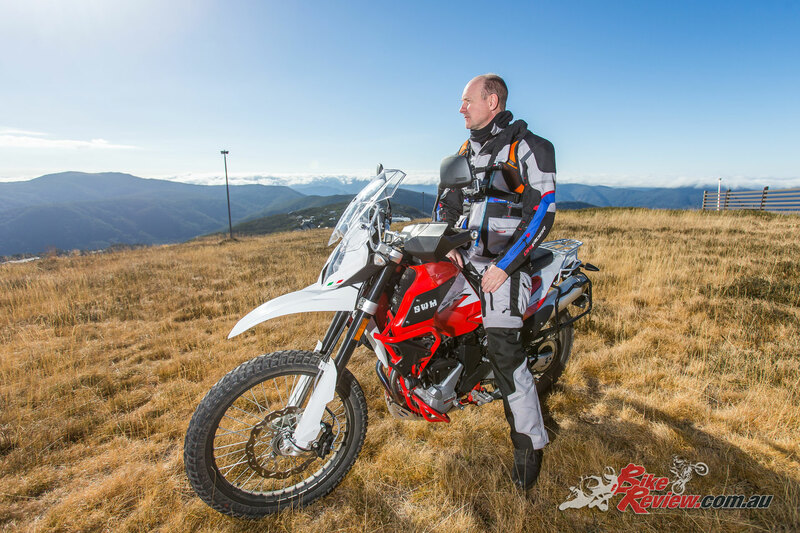 There can’t be too many greater places in Australia to ride an adventure bike than the Victorian Snowy Mountains where I was lucky enough to be invited to the 2018 SWM Superdual X launch at the beautiful Mount Buller Ski Resort. We were being looked after by David from Mt. 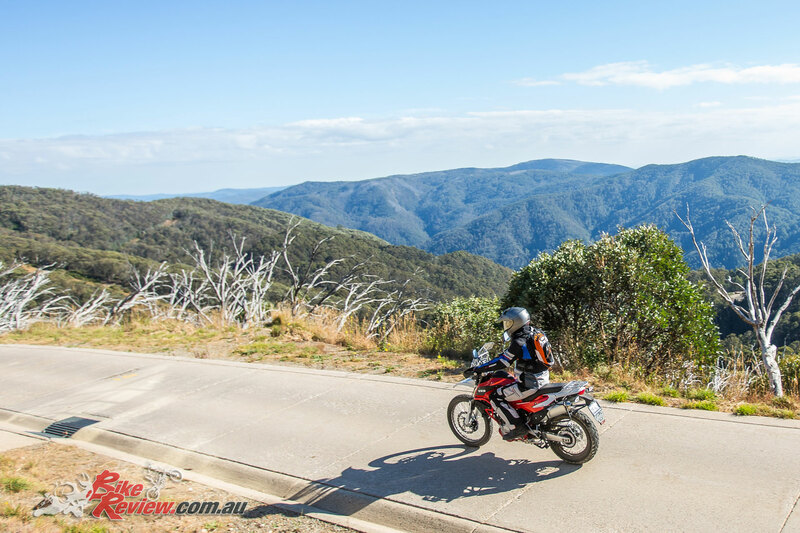 Buller Motorcycle Adventures who had planned a great mix of twisty tarred roads, wide open trails and tight single tracks sections, all taking in some of the greatest views and terrain Australia has to offer. 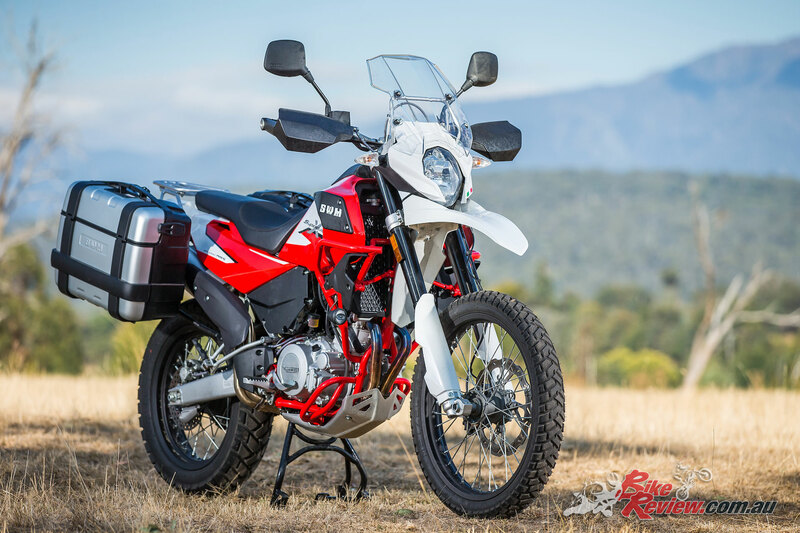 The SWM Superdual X is an Italian built bike; people think that SWM are a new brand that’s built in China or India, which is not the case. SWM was really big in the ‘70s with off road bikes and has a few championships under its belt, sadly it went bust in 1984, but with money from the Chinese company Shineray, it was able to be relaunched in 2015 with 76 hard working Italians on staff. 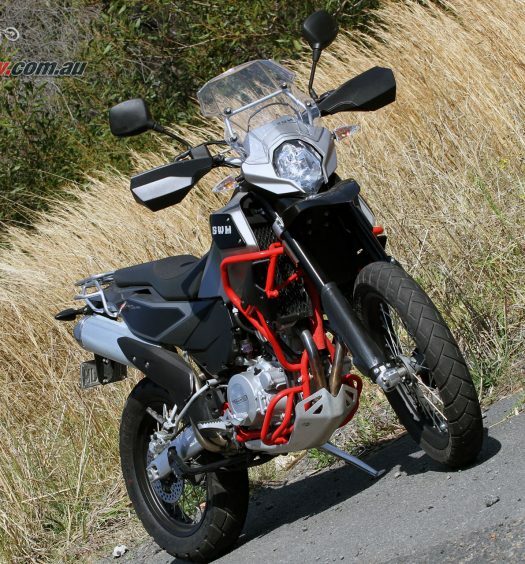 The bike is based on a Husqvarna 2011 TE630 enduro bike, using the same frame and engine, although upgraded and redesigned for SWM’s specific requirements. 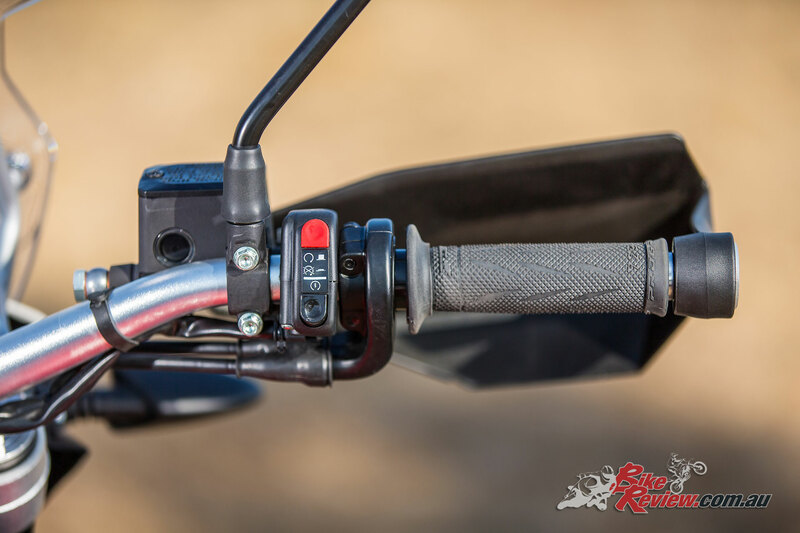 Looking around the bike you do get a fair bit for your money, such as Brembo brakes with braided lines and fully adjustable 45mm front USD forks and a Sachs rear shock that has rebound adjustment and a remote preload adjuster that can be accessed while on the bike. 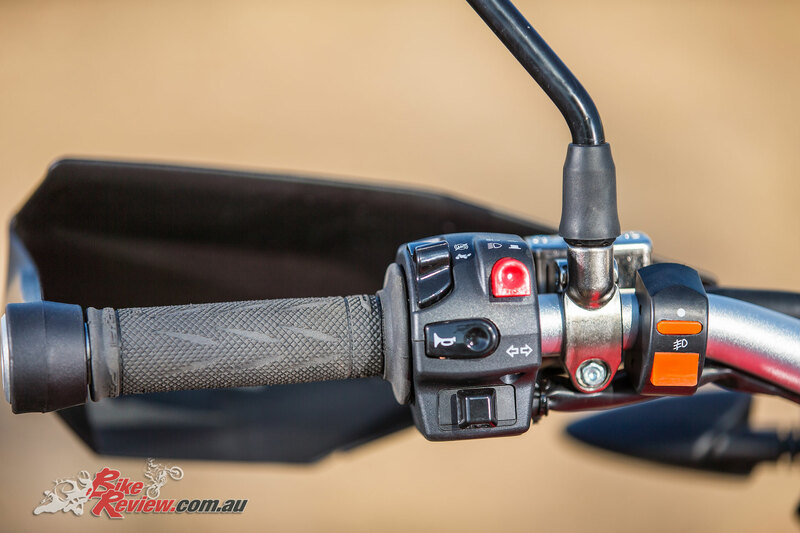 The Superdual X comes with ABS that can be switched off, but it only turns off the rear ABS – more on that later. 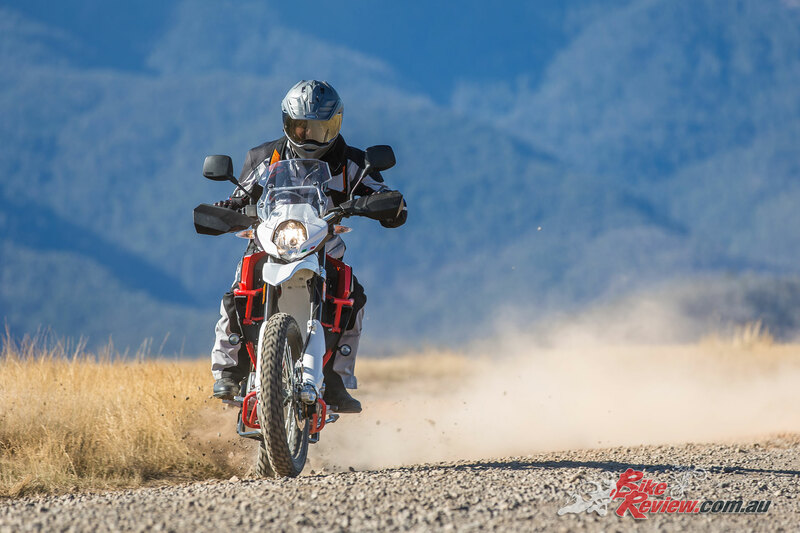 The single-cylinder 600cc engine is fed by a Mikuni D45 electronic fuel injection system, you also get engine protection bars and tank protectors, along with a sturdy rear carry rack. 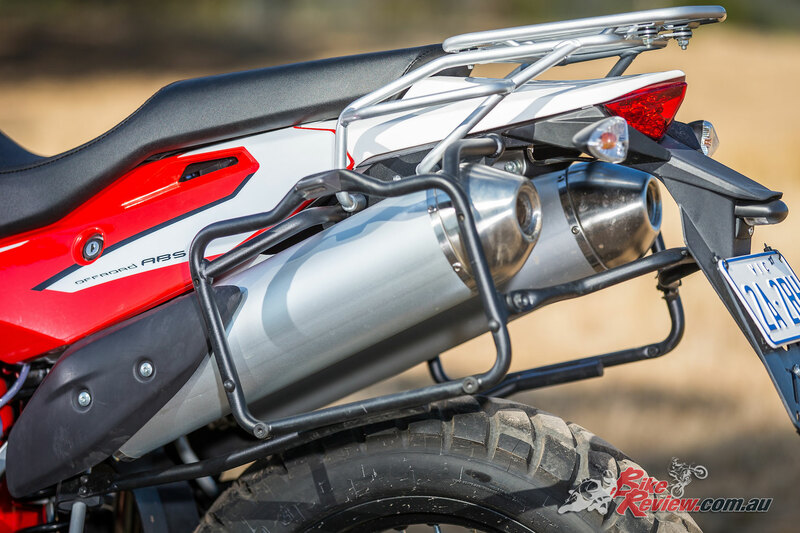 A strong 3.5mm thick alloy engine guard protects the lower motor from rocks or logs. 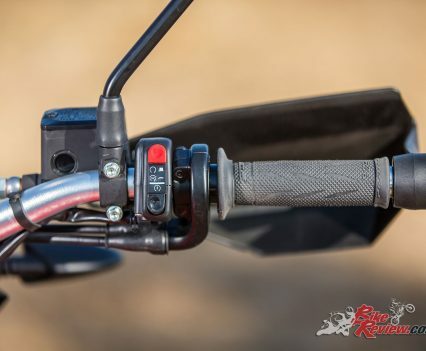 SWM also give you alloy handlebars that can be adjusted for reach and come with hand protectors. 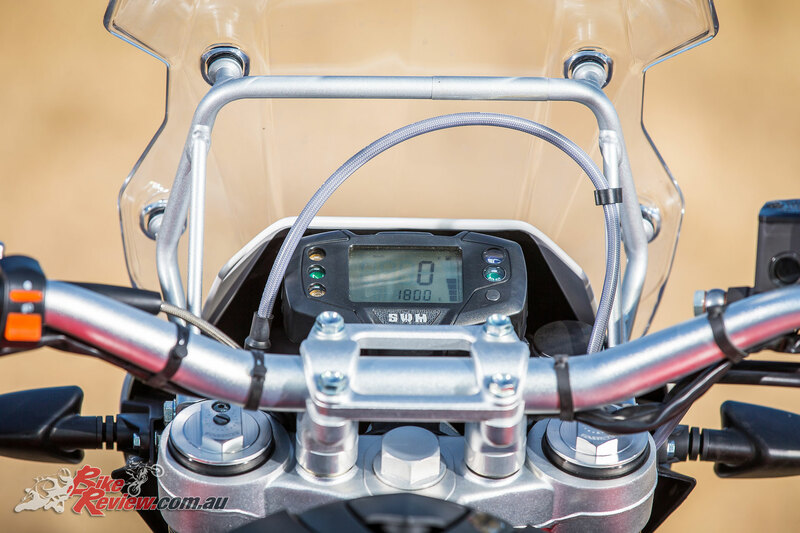 The dash is a small lightweight LED unit, but has most of the functions you need, including dual trip meters, fuel gauge, clock, taco and average seed, plus loads more. 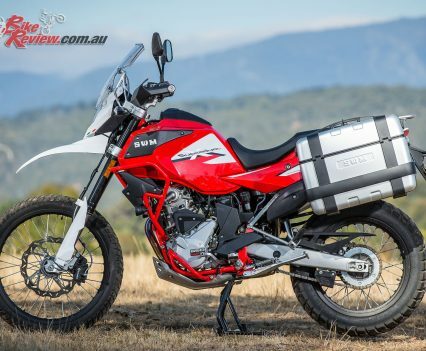 Also, for a limited time you get a free set of quality Givi hard panniers and LED riding lights worth 1500 bucks, which will come in handy if you plan to do any touring. 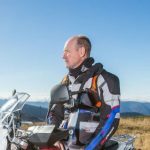 For a bike that costs around $10,500, the quality of finish and components are pretty good, and you do get a lot for your money. 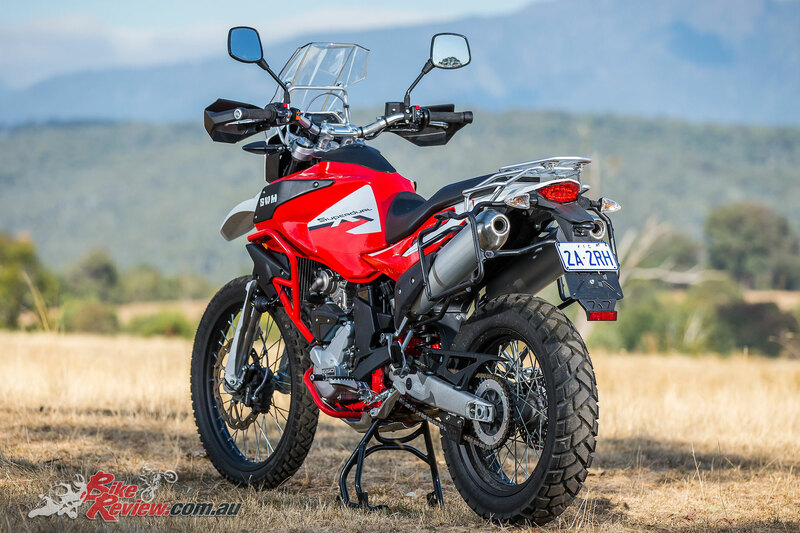 Upgrades over the 2017 SWM Superdual T we reviewed Here include Euro4 compliance, a new in dash fuel gauge, switcheable ABS, stepper motor in the throttle body replacing the start lever, revised mapping, a new seat and the X has larger wheels for off road use. Hitting the start button the first thing you notice is the bike is fairly well baffled, as it should be with dual mufflers that exit either side under the seat. 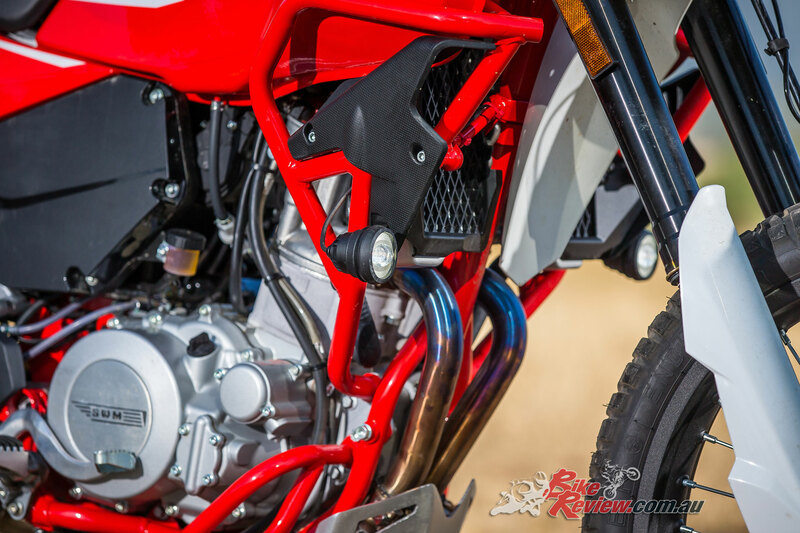 The SWM guys also had a bike with Barret aftermarket pipes fitted, this gave the bike another 8hp on the dyno and was not too noisy, so that may be an option if you want a bit more mumbo. 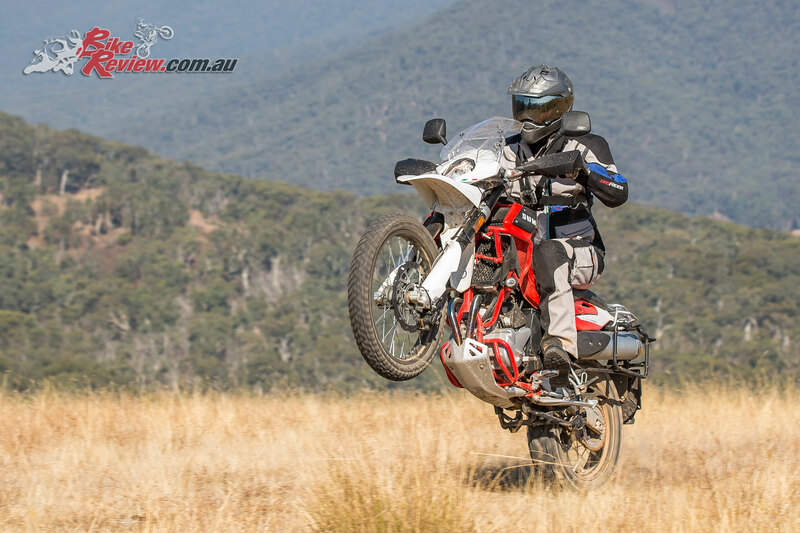 That being said, the standard bike is by no means slow, it produces 42kw (non-LAMS model) in a smooth predicable way and with a relatively low weight (for an adventure bike) of 169kg it’s no slouch and certainly has enough power to have a bit of fun on and off road. The new Superdual X is fitted with a more off-road suitable spoked 21in front and 18in rear wheels with strong GLM rims made by Giant. 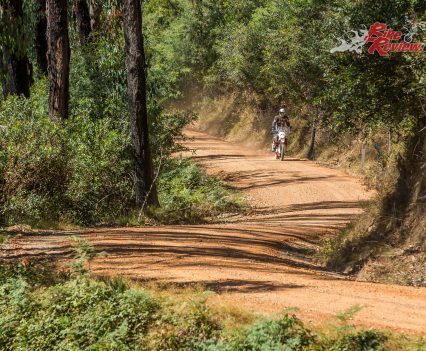 The only change I’d make is with the gearing, it is too tall, especially in the bush, but that is a really cheap problem to fix, by way of changing the front a tooth lower or a few teeth more on the back, but if you’re not planning on riding in the bush then I wouldn’t bother. 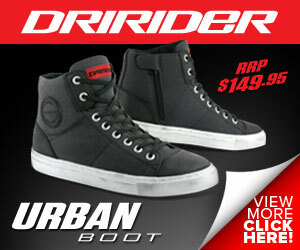 The gearing change would improve acceleration and also makes it a lot easier to ride in the tighter sections off-road. On the twisty road up to the Mount Buller snow fields, the surface was smooth and super twisty and even with the Metzeler 3 Sahara tyres, which are a dual on/off road type, the bike was so much fun and even in the cold conditions of around 10 degrees, I still had the confidence to push the bike quite hard. That being said, there are no road barriers to stop you disappearing over the cliff edge, so that keeps you on your toes. 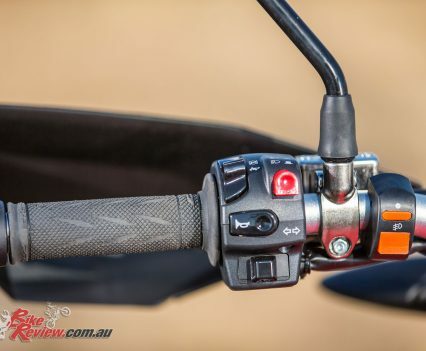 The six-speed gearbox is smooth with a precise action, even with only a few hundred kilometres on the bike, so that will loosen up even more over time and the hydraulic clutch offers good feel and take-up. 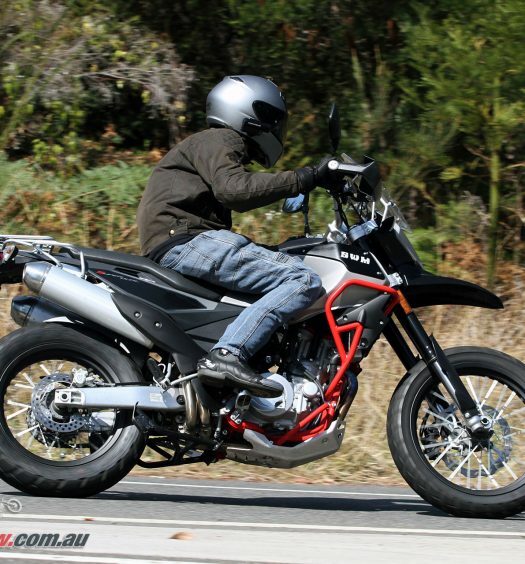 As the SWM is light it’s super manoeuvrable with the wide alloy bars and good vision from the mirrors. 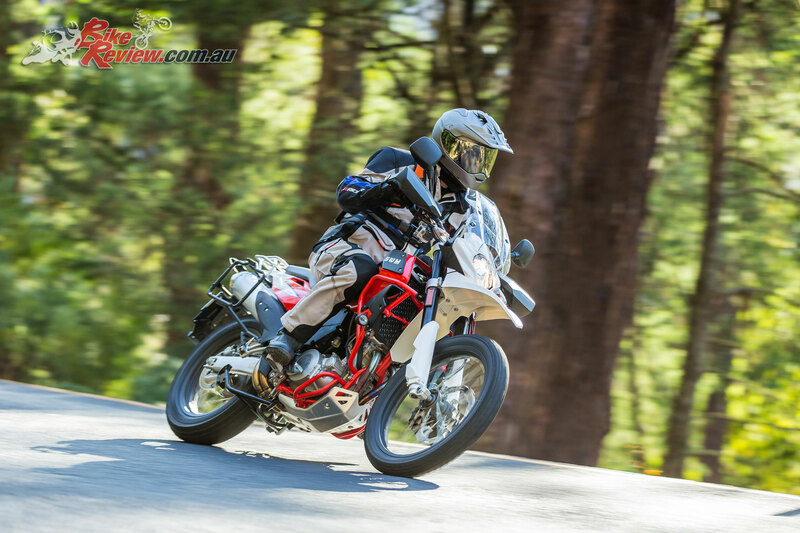 The Brembo brakes feel pretty strong on the road and the ABS did what it was supposed to do, as I had call to test it out heading into some of the tight hairpin bends in the cold conditions. Acceleration out of the turns is not breathtaking, but still fun, especially on a twisty road like this, again a gearing change would improve this. 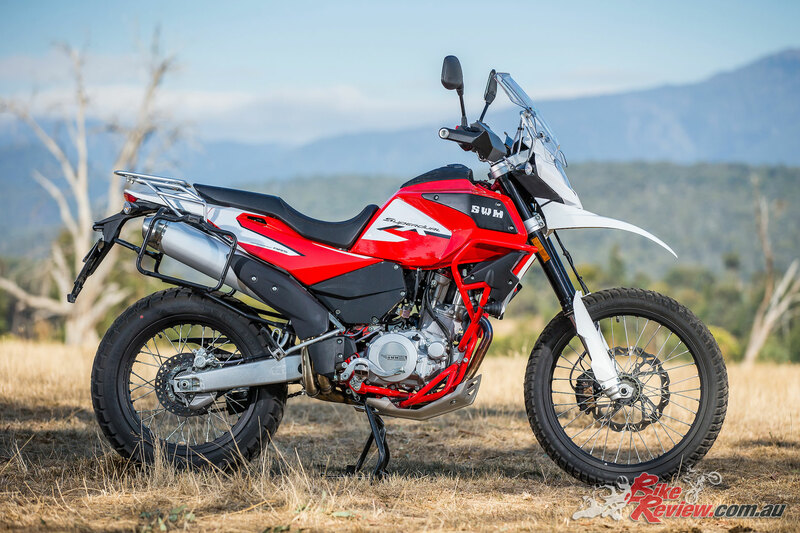 With a big 600cc single like the Superdual X, engine vibration is inevitable, but the SWM is fitted with an engine counter balancer that does a good job of reducing this, along with a cush drive on the rear sprocket and rubber mounted handlebars. Even on those long distance road sections it’s not too bad, and at no point did I get a numb bum or hands through vibration. Talking of numb bums, the seat has two options to choose from, the standard seat is 890mm and as you can see by the photos, you really do sit into it and the seat doesn’t offer much in the way of space to move around on. The optional taller seat however, feels narrower in the width, but has more padding and has a lot more room to move about on, which is so much better on and off-road. 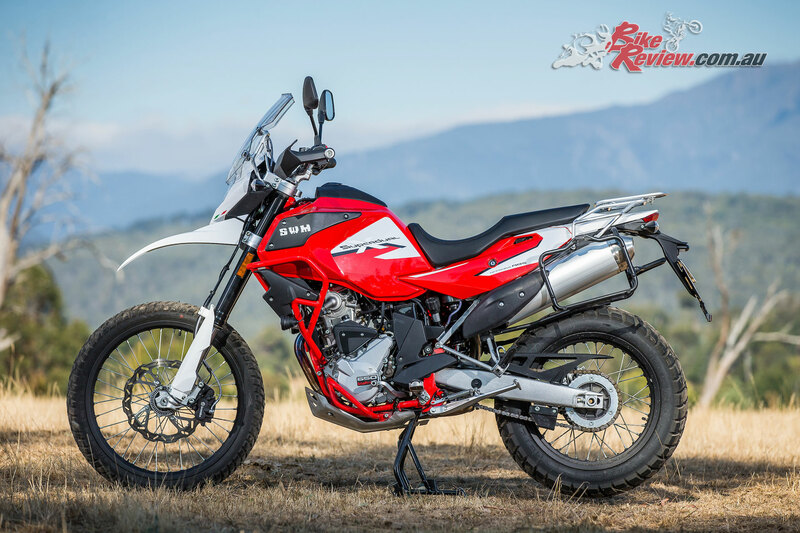 On the wide open forest road trials the SWM Superdual X was plenty of fun, even with the super dusty and slippery trail conditions, that resembled riding on marbles, the light single-cylinder adventure bike is easy to control, even for a more road oriented rider like me. 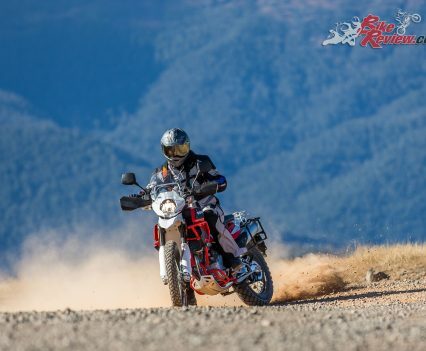 The tyres don’t have a massive amount of grip in these conditions, but to be honest I don’t think any tyre would cope to well on these loose dusty stones. I must say though, it’s a whole load of fun drifting out of the bends, getting sideways and firing to the next corner. 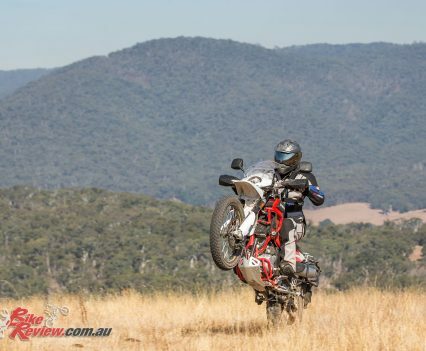 To give you greater control, the rubber sections inside the footpegs, that are designed to reduce vibration on the road, just pull out, giving my boots much better grip while standing on the ‘pegs. 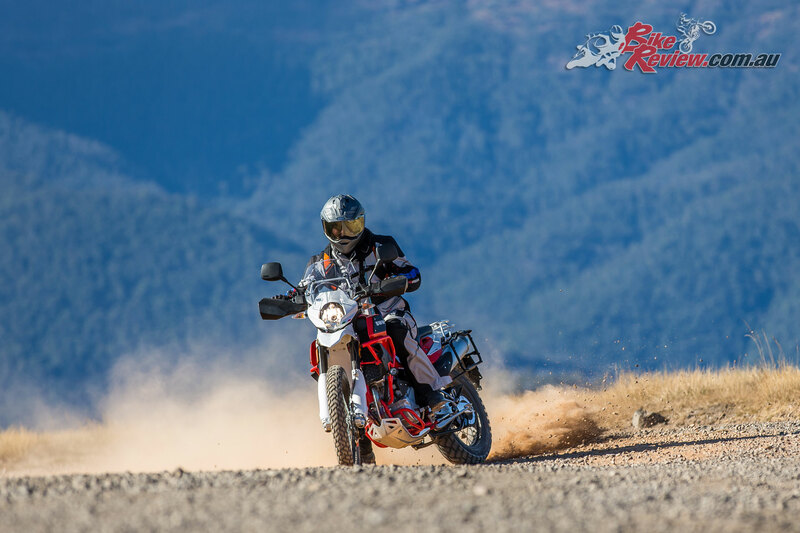 Being lighter than most adventure bikes also gives you more confidence to slide and drift around without the fear of dropping your average 250kg beast. 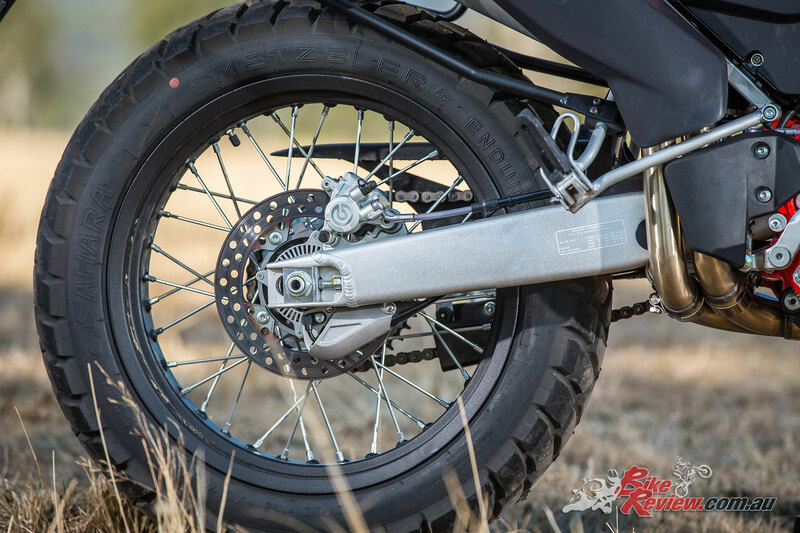 Braking on the Superdual X shows its limitations in off road conditions and it’s not the Brembo brakes, it’s the ABS that’s the weak link. The problem is you can’t turn it completely off, you can only turn off the rear ABS, which leaves the front not knowing if it’s on the road or dirt and it just doesn’t know what to do. 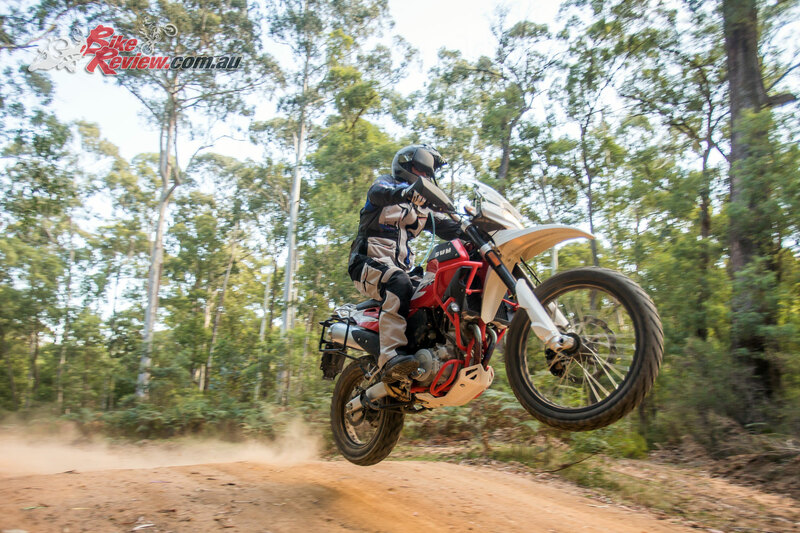 The Superdual X is at home on open trails or single track and a blast for long bush day trips. 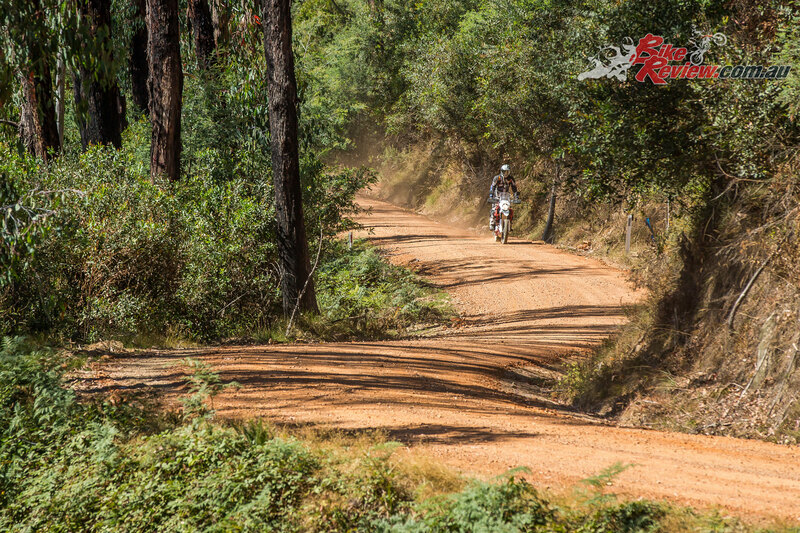 The problem was mainly on those tight downhill sections where you’re on the brakes to stop the bike running on. That being said, most people will not even think about doing some of the harder trials we were doing and I’m sure there would be some sort of fix for disconnection of the ABS for off-road if you looked hard enough. 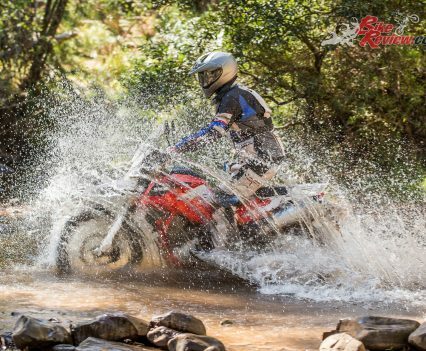 The SWM is capable of providing plenty of fun and because it’s an enduro based bike, it’s more than happy to attack the toughest of single trails, logs, rocks and tight tree sections, none of which are a problem for the Superdual X and with the tough alloy bash plate it can take a good hit as well. 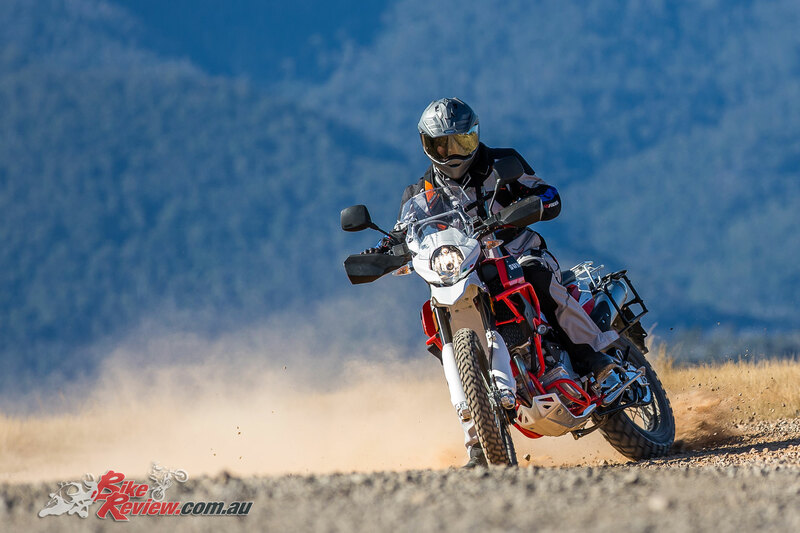 The suspension’s capabilities road and trail are pretty good and it offers plenty of progression to take out the hits, the only time I bottomed it out was launching it over big jumps, that would of bottomed out the majority of adventure bikes, so that was no issue at all. 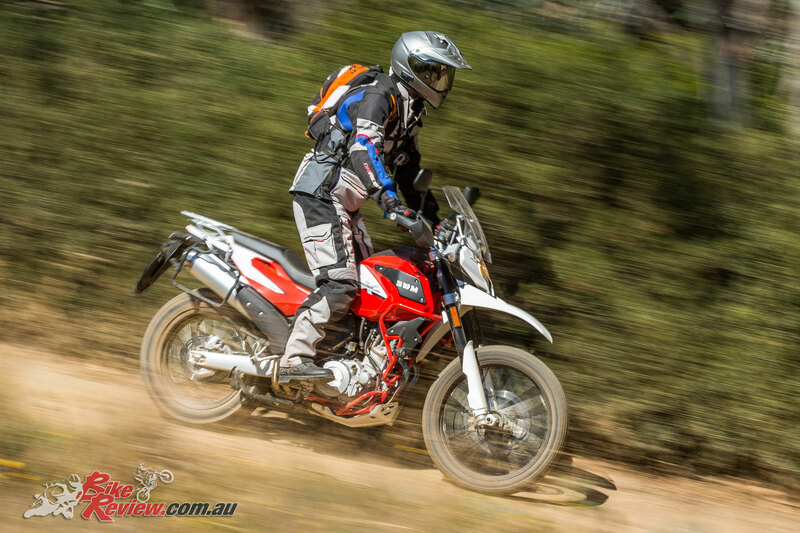 The SWM Superdual X really is the best of both worlds; throw the panniers (free if you hurry!) 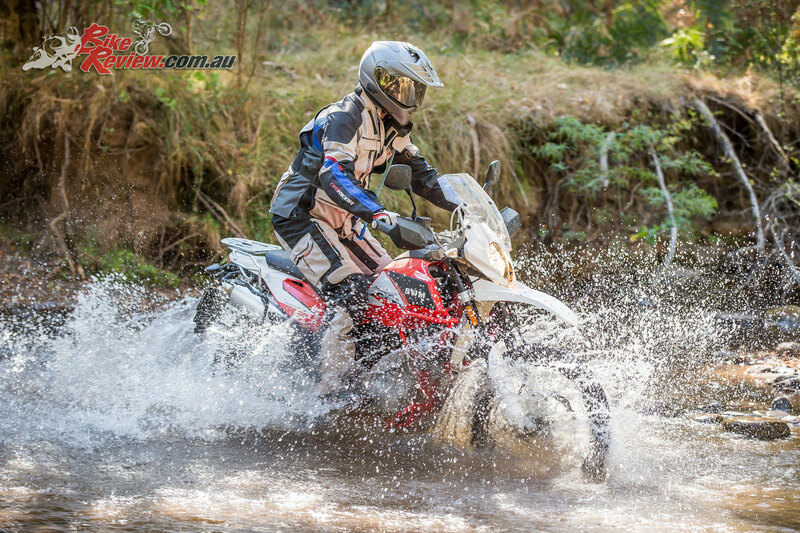 on for some long distance touring or pull them off for some off-road scratching and you can even have a bit of fun on the tar in between. 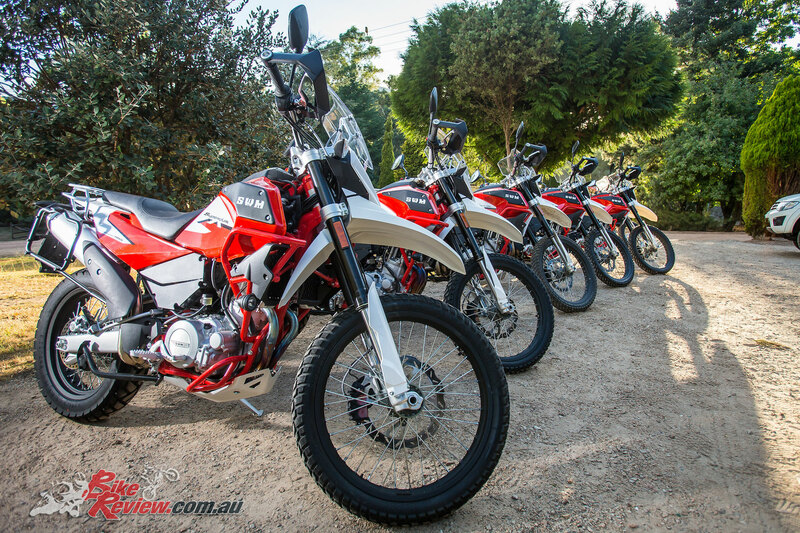 Visit swmmotorcycles.com.au and find a dealer near you if you want to test ride one of these. 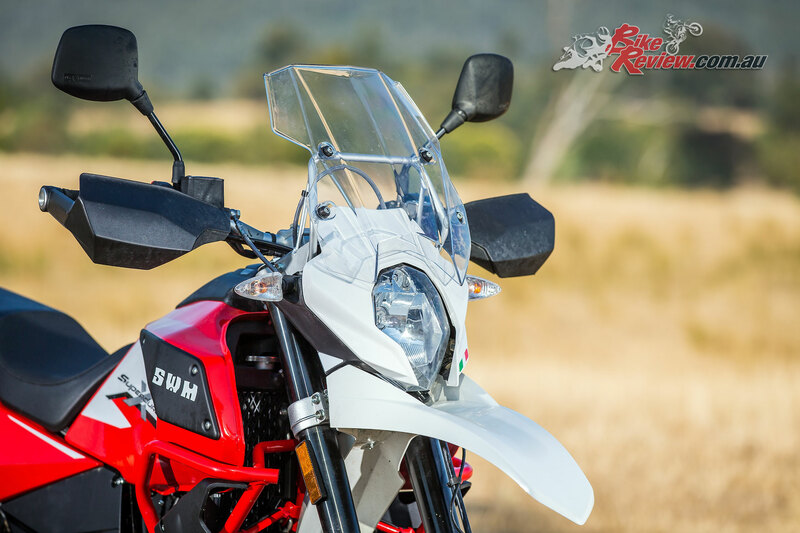 The 600cc engine has a bore and stroke of 100 x 76.4mm, while power is delivered through a wet multi-plate clutch with hydraulic operation. SWM is completely Euro4 compliant with the emissions regulations and the ABS braking system. 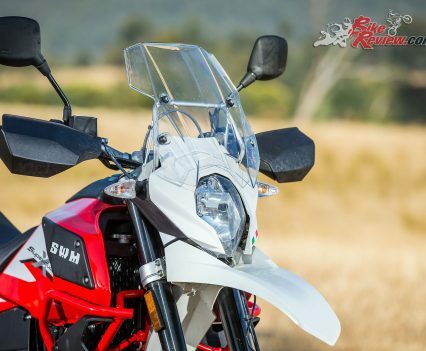 The low emissions are made possible by SWM using a Mikuni 45D fuel injection system feeding a 600cc single-cylinder double overhead cam motor. 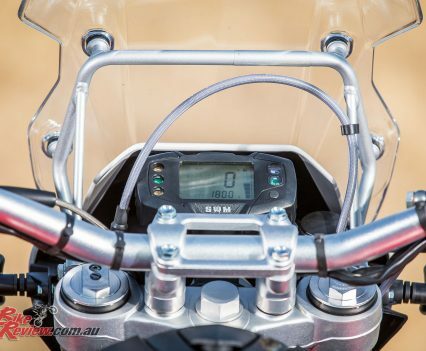 The bike is fitted with a rear cush drive to reduce strain on the six-speed gearbox and also help reduce vibration. The frame is a steel round-tube with a single beam and a double cradle main frame, with a light alloy sub-frame and a trail of 120mm. 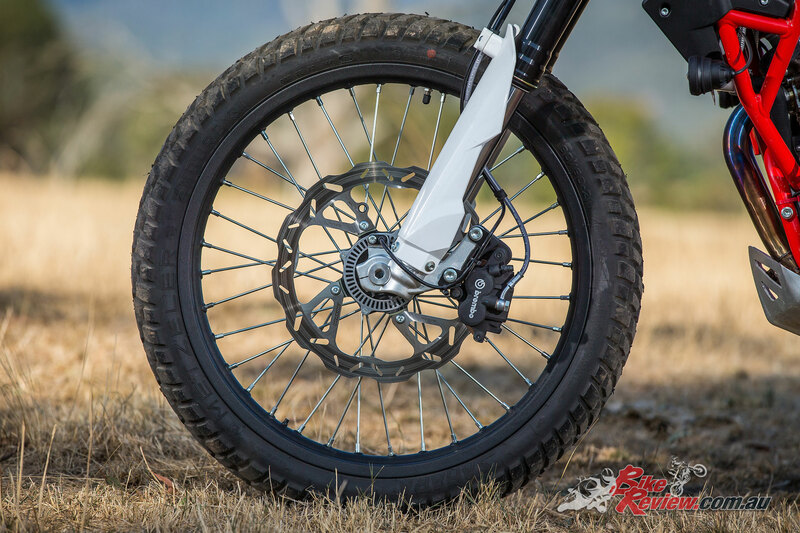 The front suspension is by a company called Fastace that make quality components for the mountain bike industry; they are 45mm upside down units that are adjustable for compression, rebound and preload. 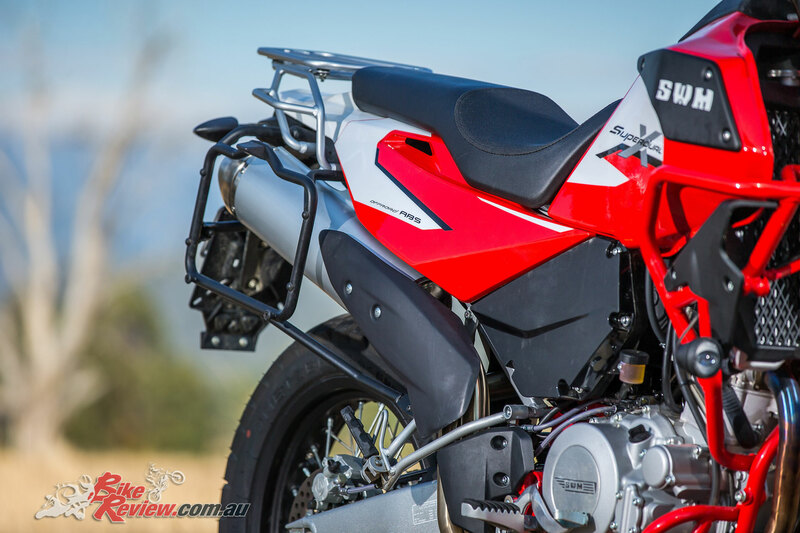 The rear is a Sachs unit with remote pre-load adjustment and rebound only, while the swingarm is made from lightweight alloy. The wheel rims are by a company called GLM (Giant Light Metal) GLM also made rims for KTM, so they are not new to the game of making quality rims and the Giant Company are obviously leaders in the mountain bike industry. The standard battery is an acid type and the airfilter is easy accessed through the side cover for cleaning. 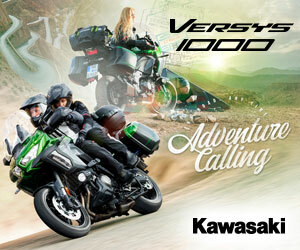 Warranty: Two-years or 20,000 kilometres, whichever comes first. 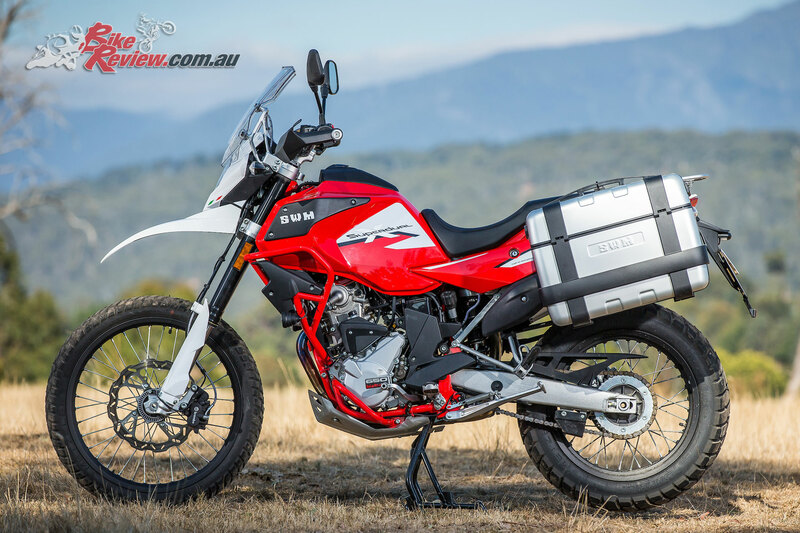 Building on SWM’s highly successful Superdual 650, the Superdual X introduces to 2018 an off-road orientated model, with a 21in front wheel, Euro4 compliance and switchable rear ABS, while a bonus GT Kit is included for a limited time adding an additional $1500 value and including Givi panniers. I own The SWM grand Milano 440. And apart from a fueling issue can not fault the coolest little road single made. 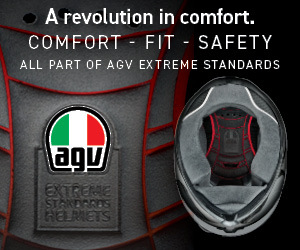 Is the same quality and performance for the money.. Unbeatable. At the start of this review you say it has 47 kw but in the specs it says 43kw. Which is it? Hi I assume the rims take tubeless tyres? 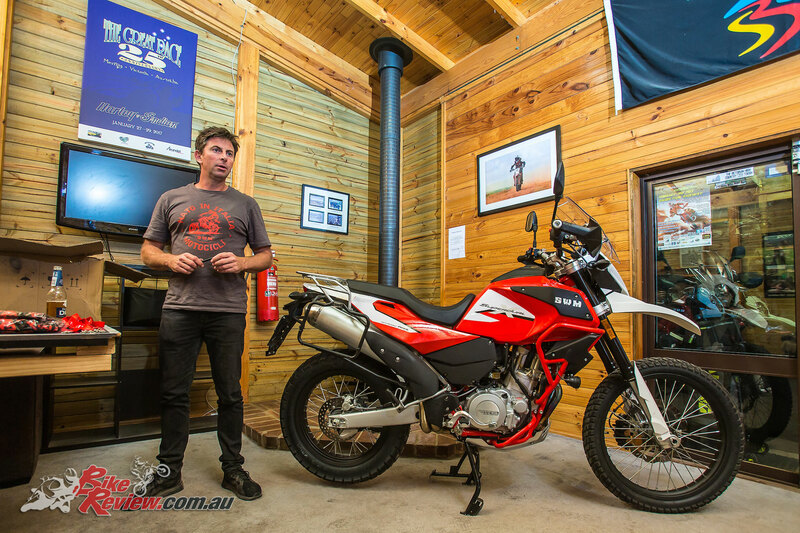 Hey Dave, both models take tubed tyres. See below the specifics. Hope that helps! I’ve also updated the specifications to reflect this. 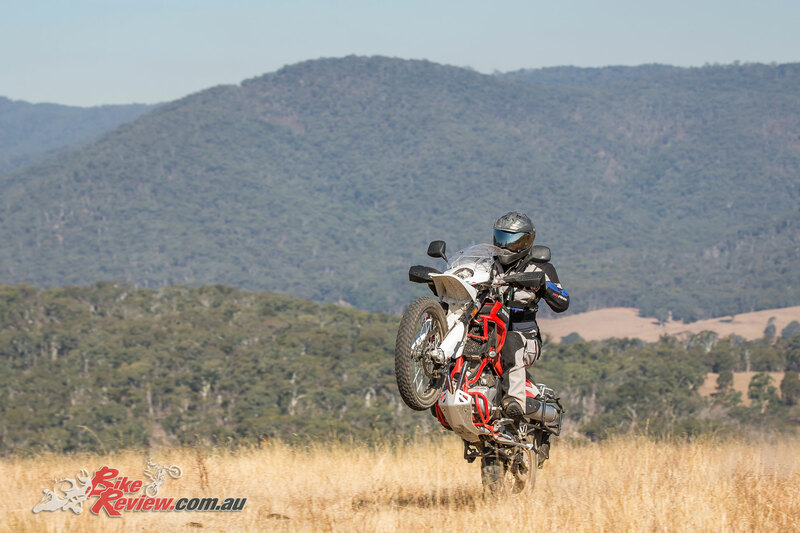 Superdual X – 90/90 x 21 front , 140/80 x 18 rear, Metzeler Enduro 3 Sahara tubed. Superdual T – 110/80 x 19 front, 140/80 x 17 rear, Metzeler Tourance tubed. 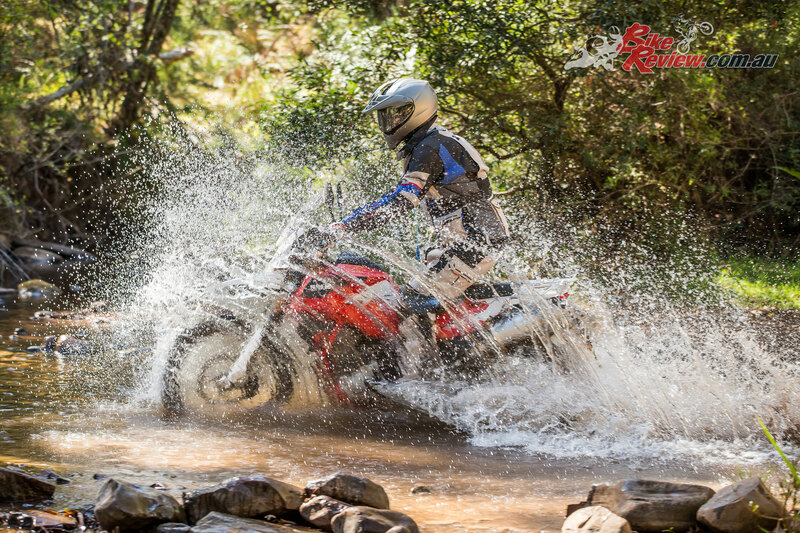 What a great enduro. I don’t need the 250kg GS thing anymore. 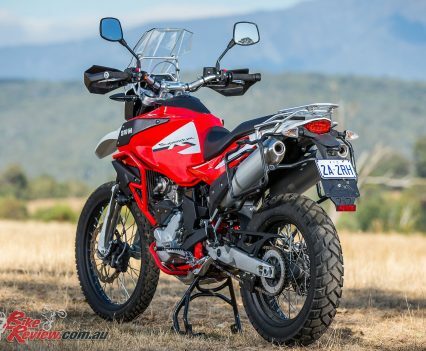 My lovely old Tenere XTZ may need a successor and this looks like it. Style, Italian and 169kg is a joy. Plastic tank and the Barrett exhaust, How could you go wrong! Why don’t the Japanese get the message. People have been crying out for a low weight duel sport with a six speed box, reasonable service intervals, and good power for years. This will be in my shed soon.